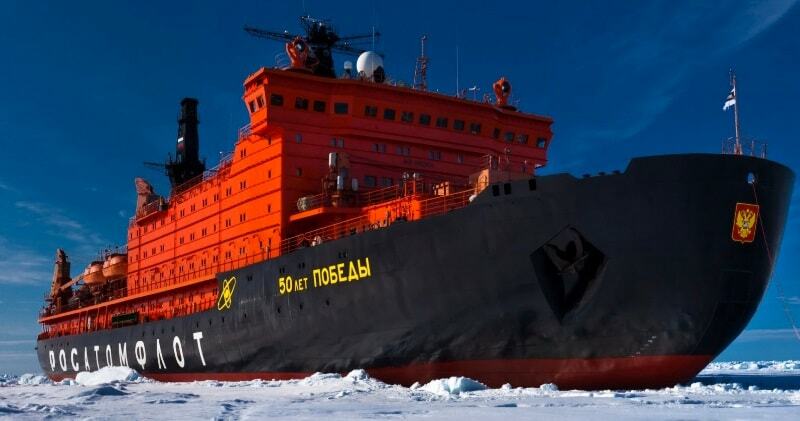 NS 50 Let Pobedy translated as 50 Years of Victory or Fiftieth Anniversary of Victory (referring to victory of USSR over Nazi Germany in the Great Patriotic War), is a Russian Arktika-class nuclear-powered icebreaker. 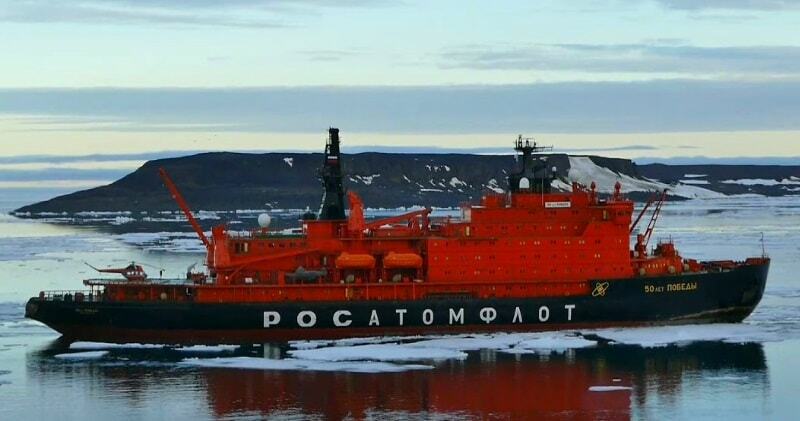 Complete with a helicopter for shore excursions, Victory is a ship unlike any other, with the ability to go where other ships cannot.With 75,000 horsepower, a thick armour of steel plate and specialized icebreaking design, the Victory is one of few surface ships capable of reaching the North Pole. Ice may be broken while moving ahead or astern. The vessel is driven by three propellers, each with four seven-ton blades. Its two nuclear reactors, which provide the steam for propulsion, are encased in 160 tons of steel, high density concrete and water. Double vacuum stills produce five tons of fresh water per hour. The Victory is equipped with the latest satellite navigation and communication equipment, including telephone, telex and fax.